Modernising an existing space without having to carry out arduous demolition work is now possible. A fine example is the bathroom of a private home in Castelfranco Veneto, a small town in the province of Treviso. The bathroom’s interior surfaces, previously covered with traditional antique pink tiles, were in need of renovation. The architect Domenico Paolo Consolo, who managed the renovation of the whole house, made it clear that the bathroom needed modern and aesthetically pleasing surfaces that could create a harmonious interior with a touch of elegance, expand the space and bring light to the room. The work involved laying Microtopping® on the existing surfaces. 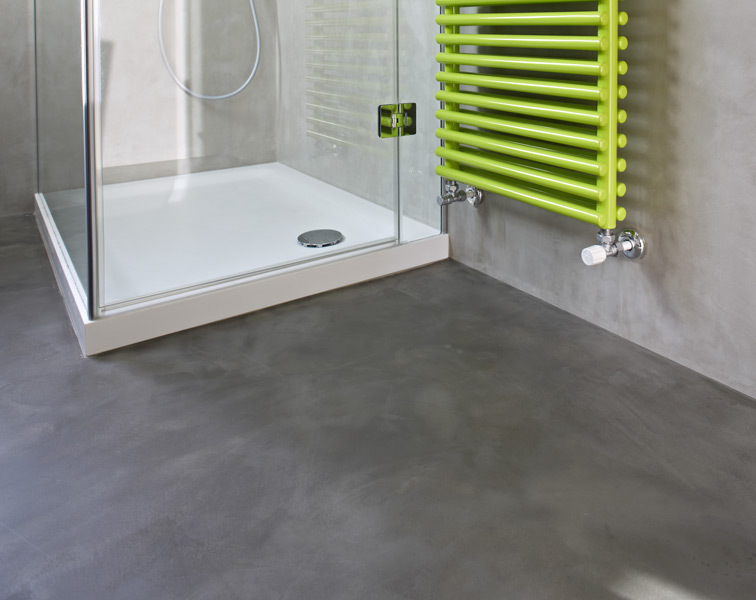 The texture of the surfaces and the choice of bathroom fixtures and furnishings with clean geometric lines create a natural effect, interrupted only by a heated towel rail in the original acid-green colour, an on-trend look in the world of contemporary bathroom design. 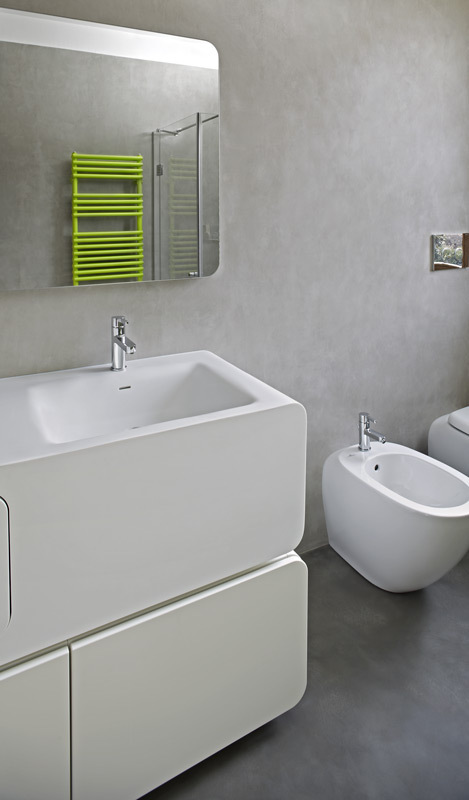 The result is a minimal-chic bathroom with a striking visual impact that is also comfortable for everyday living. The work, carried out over the space of a week by authorized Ideal Work appliers, involved laying the Microtopping® on the old ceramic surfaces without needing to remove them. White Microtopping® was used as a base, with “Smoke” colourant added (50% for the walls and 100% for the floors).